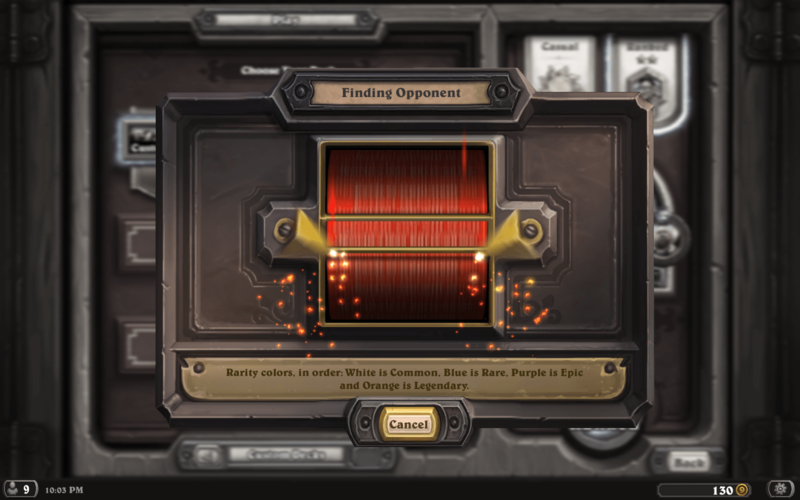 The Refined Geek » Hearthstone: Heroes of Warcraft: It’s Like MTG Lite. 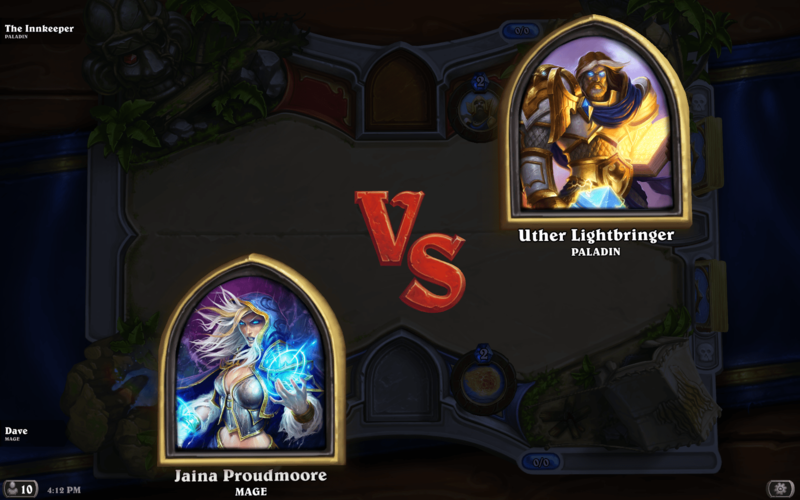 Hearthstone: Heroes of Warcraft: It’s Like MTG Lite. My introduction into the world of trading card games began almost 2 decades ago when a friend of mine gave me my very first deck of Magic: The Gathering cards. I didn’t wholly understand the mechanics at the time but I can remember it being a great way to pass the time whilst waiting for the bus to pick me up from school which was an hour away from anywhere. The interest faded in high school, that solitary deck sitting on my shelves for a number of years before it was opened up again. Today I’m more of a filthy MTG casual, attending a draft every so often and playing when my friends and I get together. In that regard then Hearthstone: Heroes of Warcraft would seem to be right up my alley as it’s almost entirely centered around casual play. Hearthstone is a free to play card game that uses the vast wealth of lore within Warcraft as inspiration for the cards, abilities and character classes that make up the core game. Long time Blizzard fans will notice familiar names popping up, from the big names of Warcraft lore to the lowly mobs that you might only encounter once when levelling a character in World of Warcraft. The mechanics are simple to understand, especially considering that they’re rigorously enforced by the game rather than you having to remember every rule yourself. Of course the initial simplicity belies the complexity inherent in the various mechanics and wider metagame, making it quite a challenge to master. 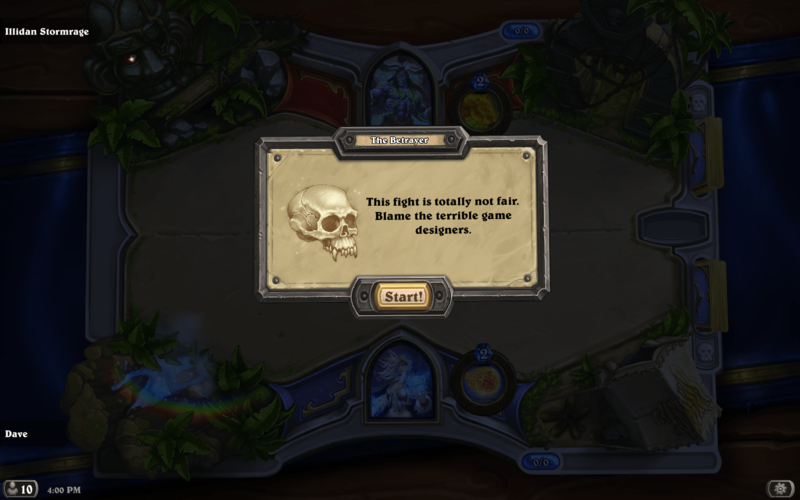 Blizzard’s signature low poly work makes its appearance yet again in Hearthstone as whilst it would appear to be a 2D game on the surface it’s actually more akin to the 2.5D adventure games of old. The table you play on is littered with little 3D elements like a zeppelin drifting listlessly around its tether point. Unlike many other digital trading card games though Hearthstone employs a variety of visual effects for creature abilities, spells and almost everything else making it quite an interesting experience visually. It’s not so heavy that you won’t be able to run it as I’ve heard the iPad version works well even on the generation 2 devices, albeit with a little stutter here and there. Mechanically Hearthstone will familiar enough to most trading card game fans that it can be picked up very quickly although there are some notable differences that change the way a typical game plays out. For starters you don’t have mana/land cards in your hand, instead every turn you’re granted a number of mana crystals that you can use to cast your cards. This means that the pace of the game is rigorously controlled and that no game can really be decided until turn 4 or 5. Additionally you’ll play as one of many character classes, all of which have access to an unique ability as well as a set of cards that other classes do not. So whilst on the surface the Warlock’s ability of being able to pay 2, sacrifice 2 life to draw a card as many times as they want seems overpowered it’s in fact not as their library of cards is designed with that in mind. The practice matches, ones done against the AI, are a good way to get familiar with the way that the classes play and how best to counter them. The AI, as in most games, can get a little predictable at times, favouring offing your creatures before they try and target you. This often leads them to make incredibly bad trades against some of the stronger cards putting you in a much better position than you otherwise would be if you were facing off against a human. Still even after a dozen or so games (mostly to unlock the characters) I did manage to find myself losing if I made a mistake or didn’t play my strengths against their weaknesses, a common thread that will continue on through competitive play. Talking over Hearthstones matchmaking with some of my friends who’d just started playing it had shown that the experience was somewhat lacklustre, with many of the people they faced off with often having cards that they simply couldn’t get access to for a long time. Indeed when I first started playing I found much the same thing which was made even worse when I gave the arena a go. However I think this is predominately a function of the default decks being completely crap than anything else as once I found some basic decks online, ones that could be constructed without spending a single dollar, I found I was able to win matches much more consistently. Sure there were times I’d come up against legendary cards that I found incredibly hard to deal with but at least with a non-default deck I had tools to manage them. The free to play nature though does mean that you’ll either spend an inordinate amount of time grinding out levels and gold to get the cards you want or you’ll have to pony up for some card packs. Now I don’t begrudge Blizzard for doing this, it’s their prerogative to make money off the games they create after all, however it meant that the time required to build up another class to the level I wanted to play it at was a little prohibitive. Some of the more advanced decks did look like a lot of fun but honestly I didn’t really like the idea of spending a good chunk of change just to give them a whirl. Of course I know this has gone the other way for many players as building your way up to that can be just as enjoyable as levelling a new character. 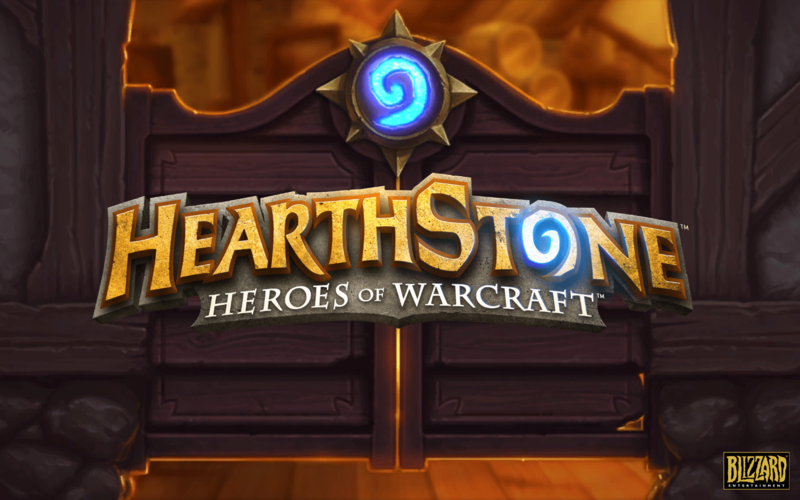 Hearthstone: Heroes of Warcraft is a fun trading card game, taking many elements of its various physical counterparts and wrapping it up with mechanics that are uniquely Blizzard. For those of us who’ve played trading card games before the mechanics will familiar yet different enough to provide some interest and the healthy competitive scene means there’s always bigger and better things to strive for. It’s free to play nature was what lost my interest after a while as I wasn’t particularly keen to invest my cash in getting better cards but considering the number of other players around I get the feeling I might be the odd one out here. For fans of trading card games and the Warcraft universe alike Hearthstone: Heroes of Warcraft is definitely worth a look in. Hearthstone: Heroes of Warcraft is available right now on PC and iPad. Total play time was approximately 8 hours. Pingback: The Refined Geek » Game of the Year 2014.